Cycle trip to Italy with B.E. Bicycle Emporium is proud to lead our first organized trip this season in al’ Italia. 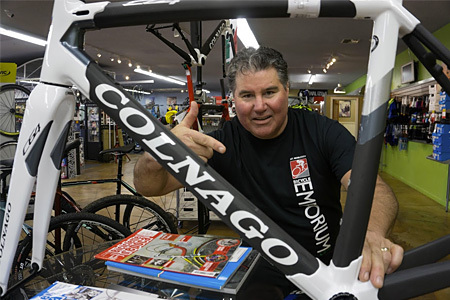 We’ll check out the great lakes of Italy and get a chance to see the Colnago factory in Cambiago. I’ve been cycling the Veneto region of Italy for 30 years and there is no place like it. Check out our web site sometime and sign up for our e blast mailer for info on a great trip to Europe with us.